This little dude, along with several others, has been staring at me from my studio shelf for some time. I think he was wondering if he was ever going to be painted! 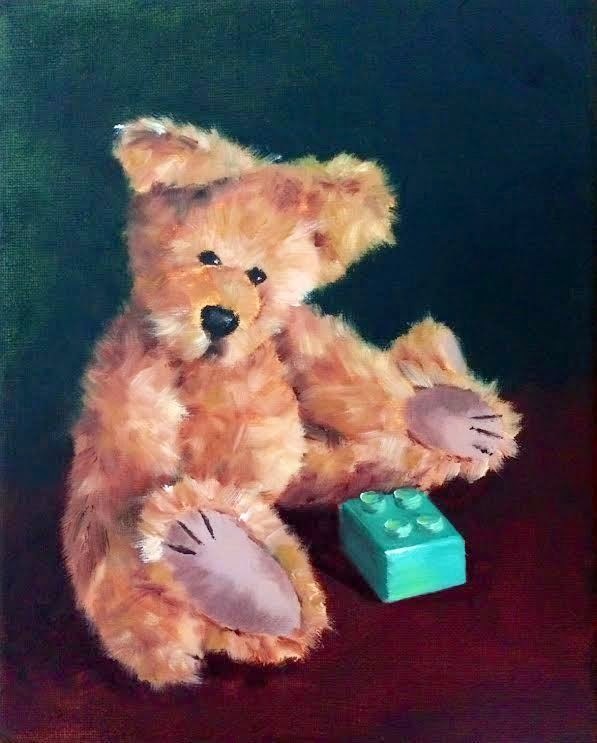 As you know I've been wanting to paint some more bears for a while, but this time I decided to do a more impressionistic series at a much smaller size. This one is 8" x 10"
I really enjoyed the freedom that impressionism allows. 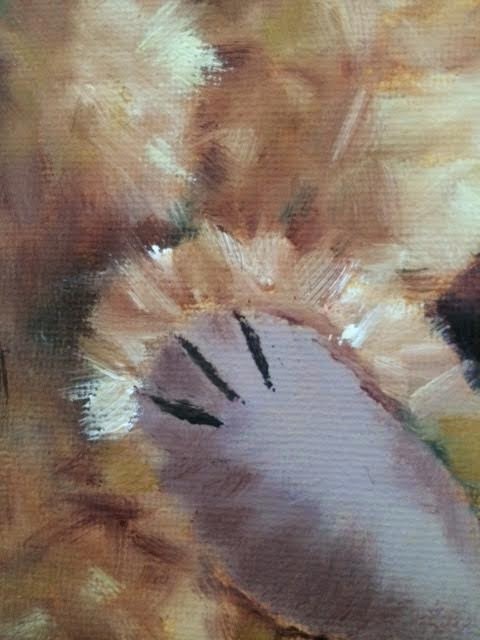 Instead of blending my brushstrokes as I often do, I embraced them! But regardless of this, whether it's to do with my palette or the familiar subject I chose, I think that my style still shines through the lively brushstrokes! How refreshing it was to walk in to my studio to a blank canvas and walk out with a completed painting from just one sitting!! So, I am definitely going to do a lot more paintings like this! That's not to say I will abandon my more realist style anytime soon. 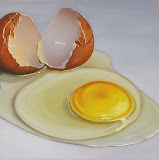 In fact, I'll soon be starting another cocktail painting... But I like to think there will be room for both. a la prima! excellent work! The same quality, more free and loose. Art on the rise! Je suis très heureuse d'apprendre que d'autres "nounours" vont naître grâce à ton talent. Ce dernier est superbe et il parait tellement doux et vibrant à la fois. Je pense que tu as une écriture, ta propre écriture et elle te va bien. Je suis vos photos de et vous avez raison, il serait vraiment faire un merveilleux modèle pour peindre! Sandra I LOVE this! ! 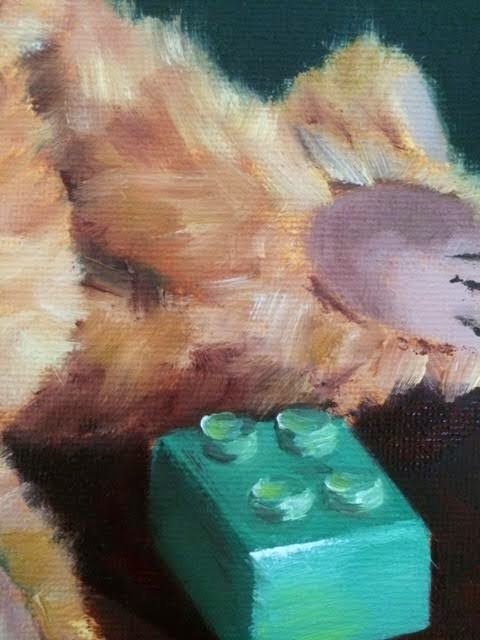 His fuzzy fur looks totally touchable and the composition with the Lego cube is fab. See I feel exactly the same way - there's no reason I can't do realistic gouache and expressionistic acrylic and no rain you can't be both a realist and an impressionist in oils-who says we have to have just the one technique?! You're right your style still shines through! I'm so glad you think so Nic. Thank you! I thoroughly enjoyed painting the little guy. He made a fabulous model! J'adore les textures et les reflets de lumière sur le pelage. Thank you so much Hilda! He is gorgeous and fluffy! Love him! Sandra, he is GORGEOUS!!! I can almost feel his soft fuzziness. 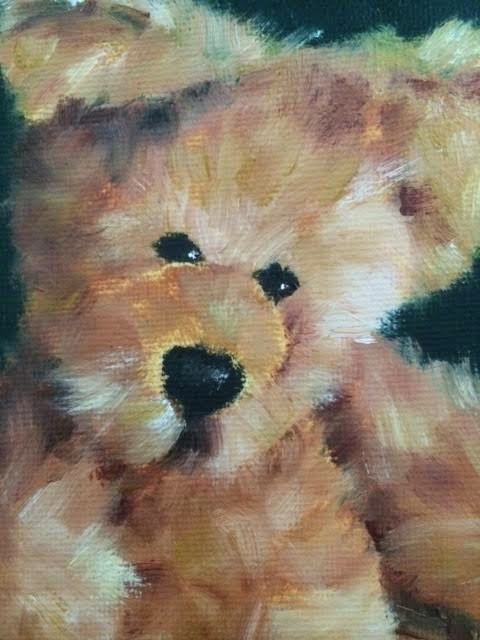 The alla prima technique works like a hot damn for your Teddy bears - love it! As usual your teddies are the best... no matter what style you choose..and I do like this one. Wonderful! Wonderful! Wonderful! Dare I say that this little bear is just bursting with personality! Did I say Wonderful? I LOVE him! I guess you like him then Susan, hehe! I like your switch of style very much. It has worked a treat and this little guy looks so cuddly. Very impressive. Hi John - Great to see you back in the land of blog! 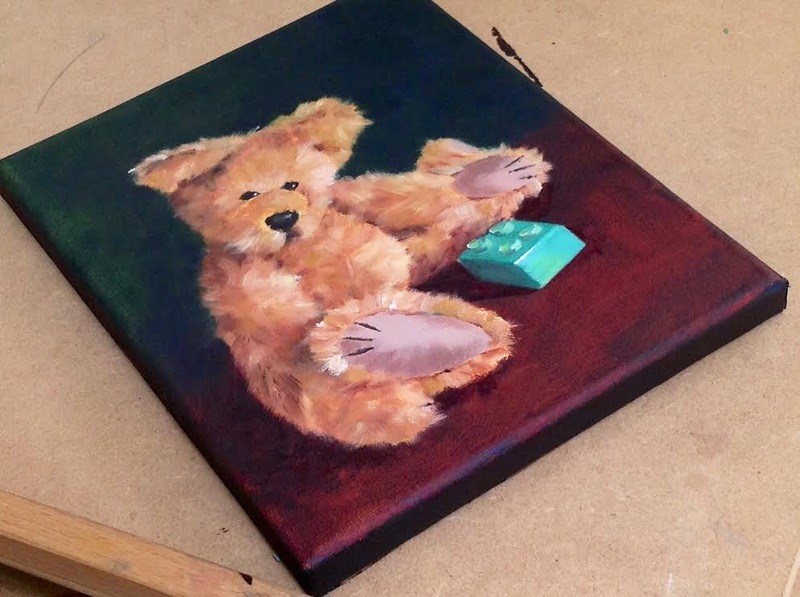 I really like this impressionistic version of this little bear. 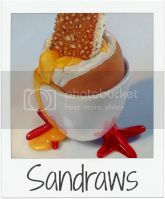 I think that is one of your best painting, Sandra. Hug! Thank you very much Tito! The bear is very sweet and tender. I especially love how he glows. Thank you so much for your lovely comment Shelley!